SAN DIEGO — Bishop Cirilo Flores, a spiritual leader for the almost 1 million Catholics living in San Diego and Imperial counties, died on Saturday. He was 66. 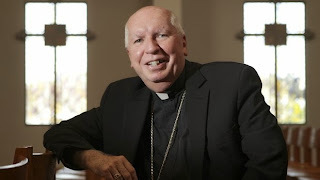 The Diocese of San Diego released a statement saying the bishop passed away at 2:47 p.m. at Nazareth House in San Diego. No details about funeral rites were immediately available. His cousin Dr. Tom Martinez, Msgr. Steven Callahan and the Sisters of Nazareth were at his bedside, said Rodrigo Valdivia, diocese chancellor. Flores had been ailing since April 17, four days before Easter, when he suffered a stroke. While under treatment, he was diagnosed with prostate cancer. The disease moved aggressively, eventually attacking the bishop’s bones and leaving him too weak for chemotherapy. On Thursday, Flores was transferred from the University of Southern California’s cancer center to Nazareth House in Mission Valley for palliative care. Less than a year ago, on Sept. 18, the Southern California native had become the Diocese of San Diego’s first Hispanic bishop. 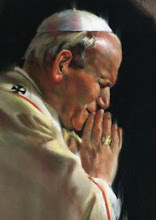 Like Pope Francis, he was seen as open and accessible, rejecting pomp and ecclesiastical formalities. “It’s a great loss to all of us, and to everyone in the diocese,” said Rodrigo Valdivia, diocese chancellor. He described Flores as open, gregarious, and supportive of activities around the diocese. His tenure may have been too brief to establish a lasting legacy, but colleagues noted his commitment to the disadvantaged, youth ministries and parochial schools. The son of an immigrant, he began his administration by reaching out to homeless migrant workers. He also convened an advisory panel on Catholic schools and kept a promise to maintain all existing campuses. A select group of priests will convene within a few weeks to select an interim administrator to run the diocese, or one may be chosen by the Papal Nuncio, an ecclesiastical diplomat to the U.S., Valdivia said. Then a new bishop will appointed by the Holy See, the papal bureaucracy in Rome. Raised in Corona, about 10 miles west of Riverside, Flores was the third of six children. His mother, Armida, was a high-school dropout; his father, Cirilo, an immigrant from the coastal Mexican state of Sinaloa. Devout but poor, his parents could not afford to send their son to Riverside’s Notre Dame High School. Notified of the boy’s plight, the local Knights of Columbus — a Catholic social group — paid his tuition. As an adult, Flores would become a fourth degree Knight, the organization’s highest rank. A graduate of Loyola Marymount University, he spent a year in a seminary before leaving to become a teacher. Despite a devotion to education, his classroom career was brief. After completing Stanford Law School, Flores devoted 10 years to a legal practice.